Below is a set of questions that reviews the basic concepts of waves. Click on the fact to reveal the answer. What are the 3 types of waves? Which wave travels perpendicular to the force applied? Which wave travels parallel to the force applied? 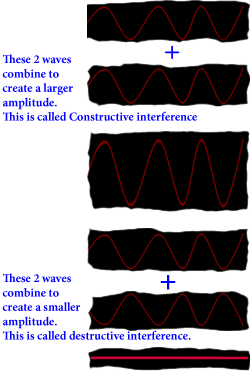 What is the highest part of a transverse wave called? What is the distance from crest to crest called? What is the distance from trough to trough called? What is the distance from resting place to crest OR trough called? What are the close together parts of a longitudinal wave called? What are the far apart parts of a longitudinal wave called? What is the distance from compression to compression called? What is a surface wave? Which letter(s) represents resting point? Which letter represents a compression? Which letter represents a rarefaction?